Ozzie Cruse : Sellouts of Oz. Organic, electric sounds for your synaptic pleasure. 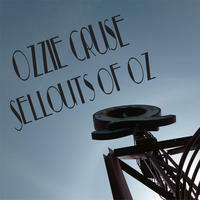 On his debut album Sellouts of Oz, Ozzie Cruse displays a diverse foundation of musical roots. This album contains tastes of jazz, sprinkled with soul, sautéed with pop, and pounded out with big beats akin to a cookin' old jazz combo stomping out classic rock in a hot dance club. Skirting the line between composition and sample, Ozzie manages to forge an album that's energetic and driving, funky and fun, while also remaining warmly organic and uniquely modern at its core. The tunes from Sellouts of Oz are immediately catchy and each have a life and story of their own. License Organic, electric sounds for your synaptic pleasure by Ozzie Cruse for your project. Play the music of Ozzie Cruse in your restaurant or store.